The Town of Frankfort is a rural community in Pepin County nestled along the Chippewa River and just a few miles from the Mississippi River; our main occupation is agriculture. 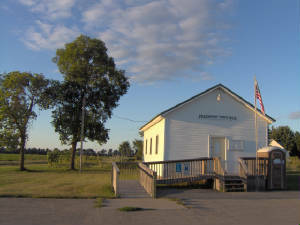 The Town Hall is located at W7804 County Road SS, Arkansaw, WI. 54759. The Town Hall is not occupied except for scheduled meetings and elections. If you want to register to vote, you can do so with the Town Clerk or with the County Clerk. You can also go to the Election Tab on this web site and download the registration form and register by mail. If you register by mail please provide proof of residence. This website is posted by the Town Clerk as a courtesy to the Town Citizens. It is not an "official" website.